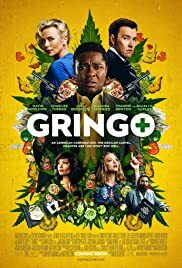 GRINGO, a dark comedy mixed with white-knuckle action and dramatic intrigue, explores the battle of survival for businessman Harold Soyinka (David Oyelowo) when he finds himself crossing the line from law-abiding citizen to wanted criminal. Harold Soyinka: What kind of a man does not believe in God? Q: When the cheap hotel front desk guys lock Summer in the bathroom they do so as if there is a lock on the outside of the bathroom door. Why would the lock be on the outside of a bathroom door? This movie was pretty good. I did not have much expectation do to the ratings and some of the reviews. It was a fun movie, with comedy and action all in one. 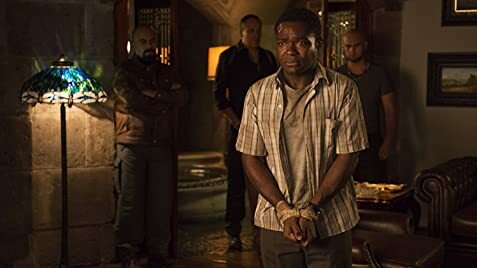 David Oyelowo was great as Harold. All in all good movie to relax and eat popcorn. 41 of 50 people found this review helpful. Was this review helpful to you?